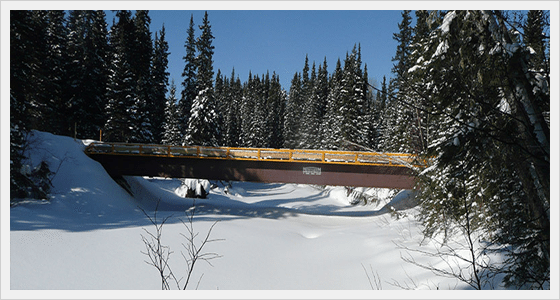 A company needed access across the Ditsu Horn River in Northern B.C. during the winter. Northern Mat & Bridge rented and installed a 120’ bridge to the company so that they could complete the job while providing proper protection to the surrounding eco-system.